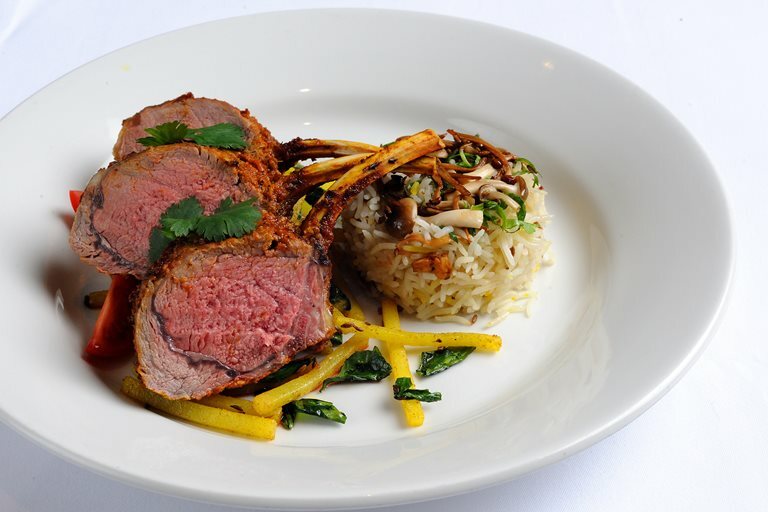 In Alfred Prasad's roast lamb recipe, the lamb rack is served with a brilliant mushroom pulao and savoury matchstick potatoes. Pulao is a South-Asian rice dish, also known as pilaf, and is made with fragrant basmati, piquant cumin and fresh coriander leaves. Ask your butcher to French-trim the lamb for you.